Please explore our website and learn more about who we are and what we do. At GVL, we strive for continuous innovation while fostering a culture of collaboration and connection. Our web-based software solutions enable faster, more efficient communication and traceability in the animal health industry. We’re passionate about working with all stakeholders to help ensure animal wellness and safety with unique, sustainable technologies. GVL operates on the Agile software development methodologies, so that requirements and solutions evolve through collaboration between self-organizing, cross-functional teams. Our Agile processes promote teamwork and encourage accountability, allow for rapid delivery of high quality software and support alignment of development with customer needs. We also believe in operating with core values that set a high precedence for our team: we strive to be accountable, dedicated, inspired, respectful and spirited. A proud supporter of the Ames community, GVL is located just minutes from Iowa State University and less than an hour from the Des Moines area. 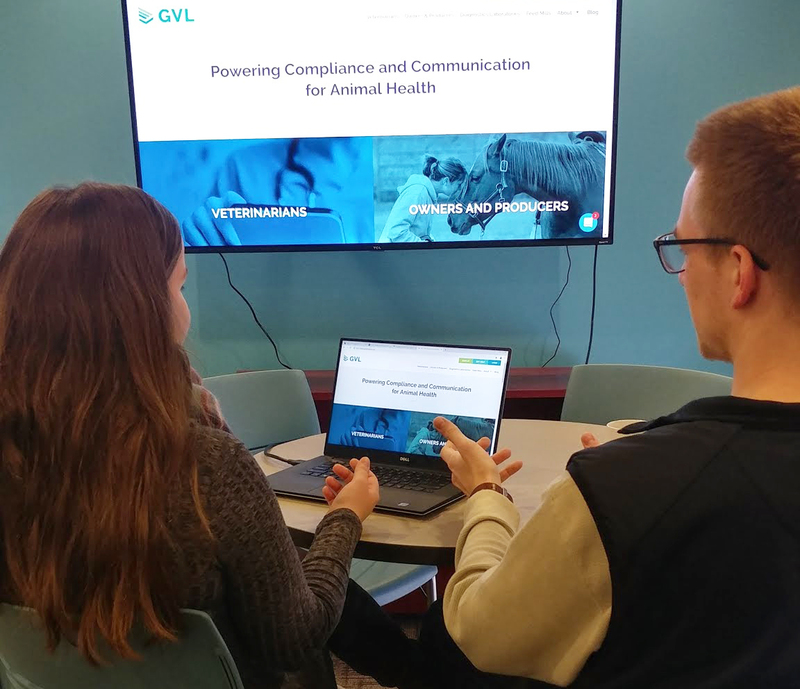 We at GVL are honored to be continually recognized for our talented staff, innovative technology solutions and animal health based software services. Below are some of the awards we’ve received in recent years. While are seeking several positions now, and are always looking for motivated people to join our team. If you want to work at GVL and don’t see a position that fits with your goals, please email us your resume. Please email GVL with your cover letter and resume: info@globalvetlink.com.